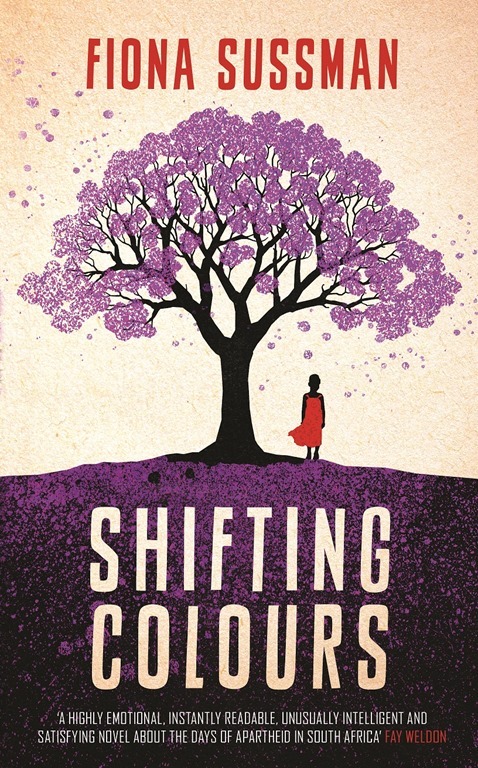 As I embarked on the writing of Shifting colours, I was acutely aware of the challenge ahead – the challenge of writing in the voice of characters whose life experiences and culture were so different from my own. I hope I have not unwittingly caused offence to anyone. In the end I have drawn on my experience as a mother, a daughter, wife and sister, and I hope that the common denominator I share with my characters is our humanity. Shifting Colours is the story of a mother and daughter separated by a most unusual adoption. Celia is a live-in maid in an apartheid-era household in 1960s Johannesburg, and she considers herself ‘lucky’. Her living quarters consist of a cramped, bleak and ill-furnished room built in the back garden. She has only rare contact with her three sons who are brought up by their grandmother in Soweto, and she hasn’t seen her husband who works in the mines for a very long time. This was the norm for residential domestic servants in South Africa: their living conditions were sub-standard and they were separated from their families for very long periods of time with visits home entirely at the discretion of their employers. The alternative, however, meant long and expensive daily journeys from the segregated townships, rising before dawn to travel into the privileged suburbs of South African cities – and still seeing very little of their families. But what makes Celia value her position in the Steiner household more than anything is that her little girl Miriam is allowed to live with her, and is an occasional beneficiary of gifts and – importantly – the beginnings of an education. Told from the perspectives of Miriam and her mother, Shifting Colours tells the story of Miriam’s adoption by the childless Steiners, and her removal to England. Like many South Africans, these employers are unnerved by the Sharpeville Massacre and they decide to leave. Celia accedes to their unusual request to adopt Miriam when the child witnesses a shocking instance of police brutality. She does so in earnest hope that it will lead to a better life for her child, but it breaks Celia’s heart. And the promises made by Rita Steiner and her husband Michael are not kept. They do not bring the child back for visits, and they do not write to tell Celia about the child’s progress. What’s worse is that they tell Miriam that her mother didn’t want her. And in the meantime, things don’t work out with Celia’s new employers, and her life goes from bad to worse, each new address making it more and more impossible to trace her movements. England turns out not to be a promised land, and Miriam grows up experiencing a different kind of racism to the institutionalised form of it in South Africa. And eventually she feels impelled to make the journey back to South Africa to resolve her confused identity and to try to find her mother. There is an authenticity about the tale that unfolds that makes the book hard to put down. This is a debut novel of unexpected power. Your review has convinced me I need to give this one another go. I tried to read it earlier in the year for ANZ lit month (because of the author’s NZ background) but just could not get into it at the time. I put it aside, but it’s still sitting on my bedside table. I know what you mean, I could have set it aside in the beginning too, but once I was in, I was hooked. Not for sentimental reasons, I hasten to add. If it had been sentimental I would have tossed it aside – but you know that *grin*, don’t you?! Ha, yes. I don’t *do* sentimental either. Where did you hear about it, Sally? I haven’t seen any publicity about it anywhere. I really like the sound of this and I haven’t read much NZ lit this year so I’ve put it on my library wish list.